The last of the 7 Covent Garden community owned gardens. Description: This area was flattened badly in world war 2, especially on the 9th of October 1940 when several bombs fell here severely damaging the 4 story Georgian businesses and houses. Now it's a delightful and award-winning community garden and park in the heart of the West End. The site was until 1984 a car park and opened in July 1984. At the entrance to the garden you can see the old tiled mosaic that adorned the entrance to the local pub, The Globe, before it was destroyed and demolished here in the war. The Garden is not a public park, but is privately managed by volunteers as a community garden and an environmental space. 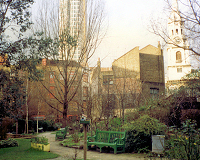 It is the last surviving of the seven original Covent Garden community gardens. 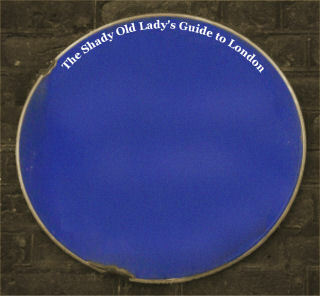 The Phoenix Garden is a registered charity (formerly Covent Garden Open Spaces Association).